Recently I saw a post asking for a list of designers offering the layers printing option, and I realized I haven't seen one myself. So I've put together this list. 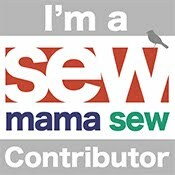 This is an evolving list - I based it first on the designers I myself own patterns from, but I'm asking for your help to keep it up to date! I don't own patterns from every single PDF designer out there (and don't know anyone who does), so if someone you know to have layers included in their patterns is missing from this list, please leave a comment and I'll update! This list will be updated as designers add this option or as I'm informed of those that I don't own/missed! 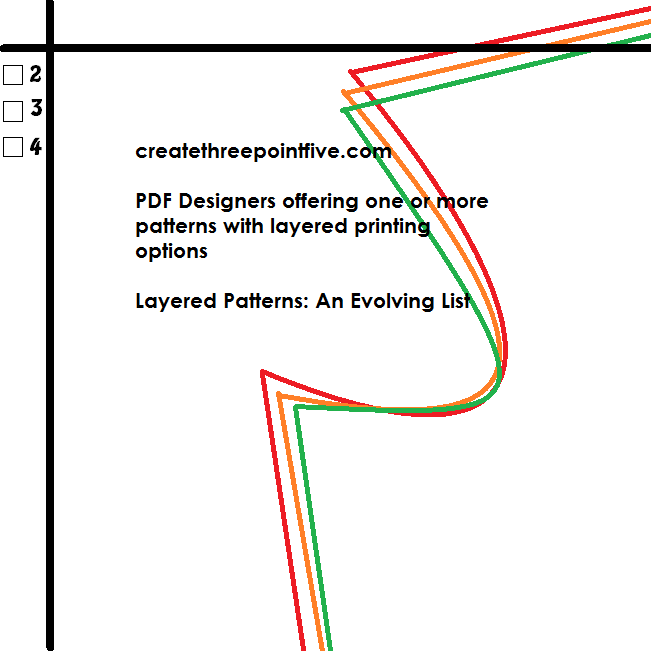 Each designer on this list has at least one pattern with the layers printing option. Many newer designers will include it automatically, and still more are going back and updating. Please be patient with designers. Updating old patterns is a lot of work!! Bishy Barnababes patterns have layers on all nested patterns (for the FMA patterns the different sizes are on different pages and there is a table for which pages to print so layers are not needed).